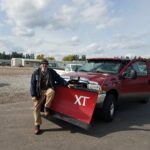 TJ Ward.Pro is now offering snow removal in Columbia Falls and Whitefish Montana, So this is your big heads up to get your seasonal snow removal rate locked in before the first snow fall. Prices will in crease after the first snow fall. I know you’ll be happy you planed ahead and got in the preseason pricing. Maybe your wanting to do some heavy lifting when the snow comes, some hard-work and back-breaking shoveling might be therapeutic and a meditative experience for you. Well If that is not your idea of a good time perhaps you’ll want to hire a pro to handle the snow removal at your home or business this season. Hi, my name is TJ and I’m here to help you keep the heavy snow lifting off your back. All my services are designed to reduce stress and save you time to do the more important and fun things you like and rather do! I am now offering snow removal management in Columbia Falls and Whitefish Montana. With my brand-new equipment, both Boss V snow plow and snow blower I’m ready to keep your Driveways, Parking lots and Sidewalks clear all winter long. Do you have your snow removal for this season booked yet? Home owners and businesses can be at ease knowing that the seasons snow removal rate is locked in and with priority booking means your property will be taken care before others who book after their snow removal service after you did! Taking care of your property includes snow removal. I also offer many more customized service to meet your particular needs to be your eyes, ears and hands helping you feel secure your home is the right hands and relieving you of the stress by knowing your home in good hands. Fully Insured, New Equipment and very good reviews read for yourself and hear what others say about what I have done for them. Then pick up the phone or if your on your phone reading this just ckick on this number now. Remember book your snow removal today and lock in your plowing priority order and seasonal pricing. Call me now before your neighbor dose.